Agricultural burning is used to clear fields of excess residue and/or straw – and may be used to help control weeds, disease and pests. But over the years, increasing public concern about the health effects of the smoke has regulators, and growers themselves, taking a hard look at the practice. The Department of Ecology has the authority to grant delegated permitting authority within each county of the State of Washington. 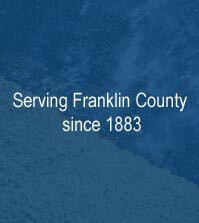 Franklin County currently has delegated agricultural permitting authority from the Department of Ecology, and in turn "sub-contracts" the administration of the agricultural burn permitting program through the Franklin Conservation District. 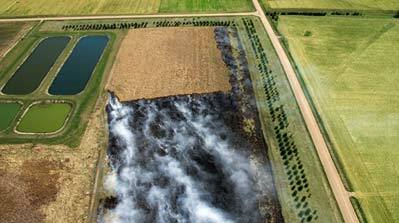 The goal is not to prohibit agricultural burning but to decrease smoke emissions. Participating as a delegated permitting authority allows Franklin County to not only issue agricultural burning permits but also take a hands on approach in providing better service to its residents. Guidelines called Best Management Practices (BMPs) have been developed for each crop. These BMP’s were written to inform and identify (based on crop type) when burning is needed and when it is not. The farmer and/or grower must refer to these Best Management Practices (BMPs) and prove to their locally based permitting authority that burning is the only way to solve the insect, weed, pest, or residue problem the farmer and/or grower is dealing with. As a delegated permitting authority, Franklin County takes on additional responsibility to help support the efforts of the State of Washington and the Department of Ecology in its administering and enforcing the rules listed, and those stated in Washington Administrative Code (WAC 173-430) Agricultural burning. The Department of Ecology makes the daily BURN and/or NO BURN calls based on current daily meteorological data of conditions existing such as air quality, ventilation, dispersal of smoke and particulate matter existing within Franklin County, which may or may not allow burning based on this data. Click the link below after 9:00 a.m. for the daily "burn call"